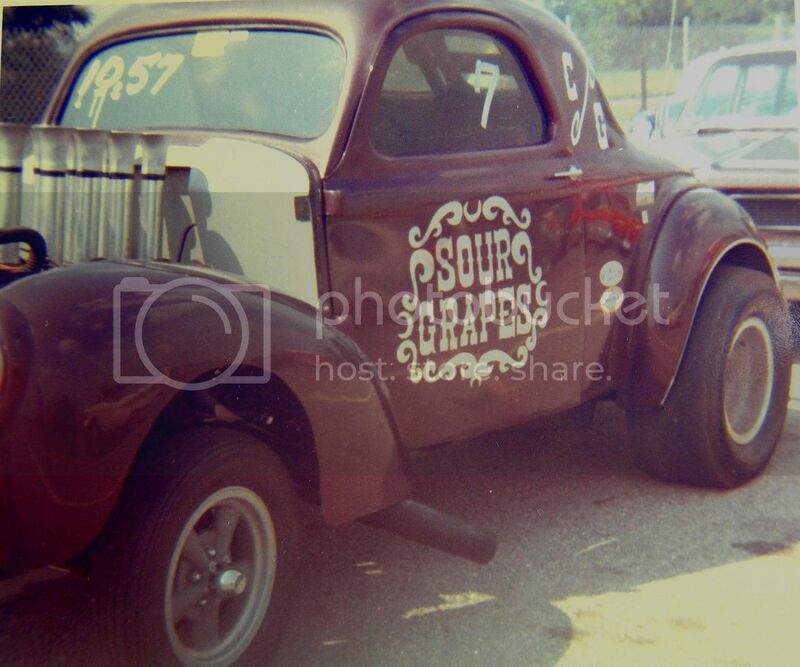 This will wrap up my background of where I came from. 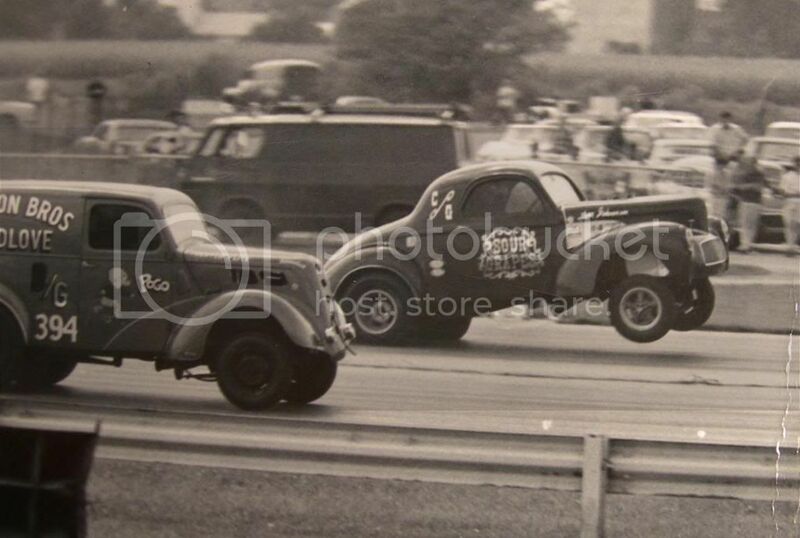 My dad now in his 70's still races a modified circle track car to this day. 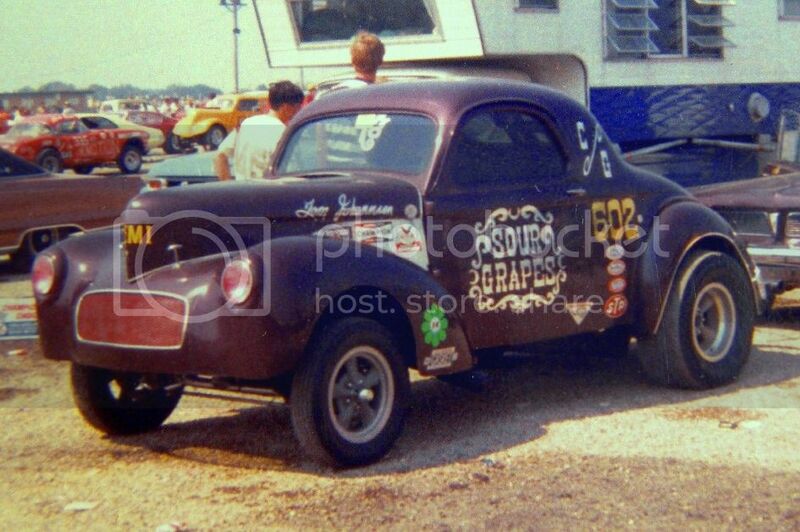 He began his career with this Willys gasser named Sour Grapes. 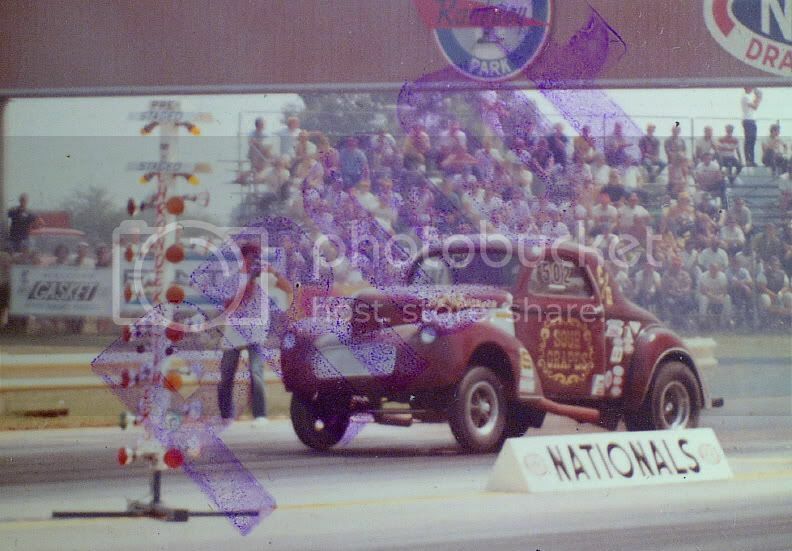 He then ran top fuel funnys for another 6 years after this gasser.